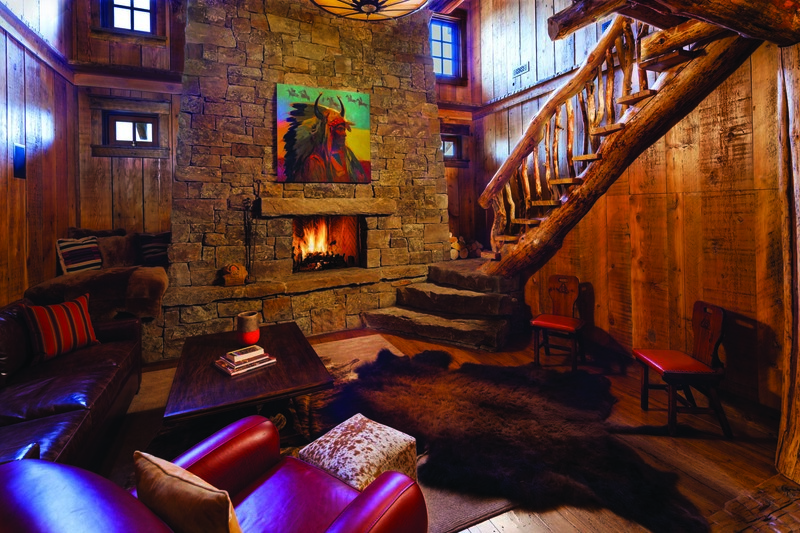 IT WAS IMPORTANT TO THE OWNERS that their new home in Big Sky, Montana, felt quintessentially Western. And none of this mountain modern or contemporary stuff. They wanted the Old West. The West full of rough edges and wily characters. The West of Val Kilmer’s world in “Tombstone,” where Wyatt Earp and Doc Holiday have shoot-outs with vigilantes at the OK Corral. The West of legends and black-and-white films. A historic West. 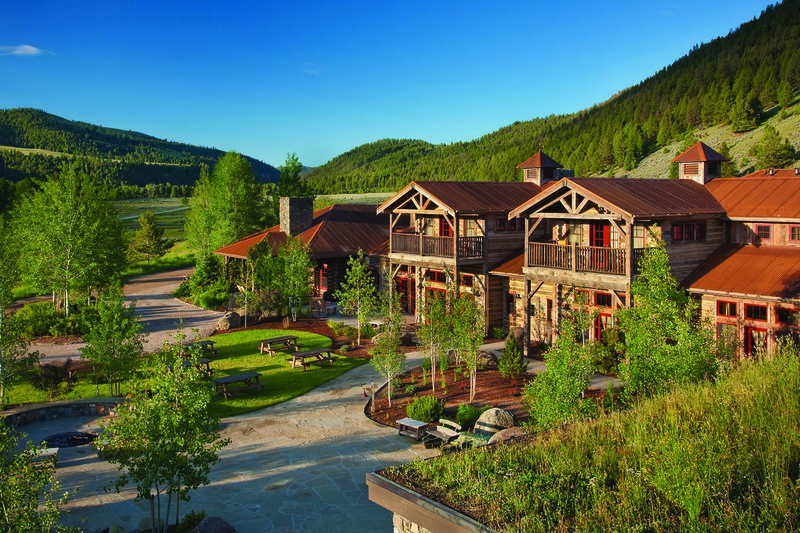 Their new residence — located in the Yellowstone Club — is a home with strong ties to both history and nature. Designed by Matt Faure, of Faure Halvorsen Architects in Bozeman, the home uses natural materials such as standing-dead timbers and Montana sandstone to bring the outdoors inside, and a 40-foot tower provides clear views of Lone Mountain, the ski hill and other surrounding ranges. He was pleased to discover the elite residential community with a private ski resort and a stunning mountain golf course. Returning that summer, he toured the course with its designer, Tom Weiskopf, also the golf legend with 25 PGA and international victories. 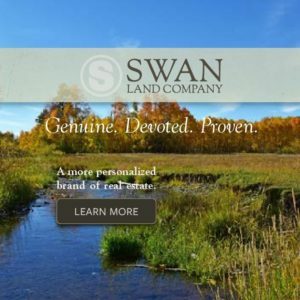 A conversation about how the skiing topped the golfing lead him to purchase property that summer. The Minneapolis, Minnesota, couple exchanged that lot for one with better views in the fall, and began the process of building their home in 2008, hiring Louie Loucks of Complete Project Resource to manage the project. 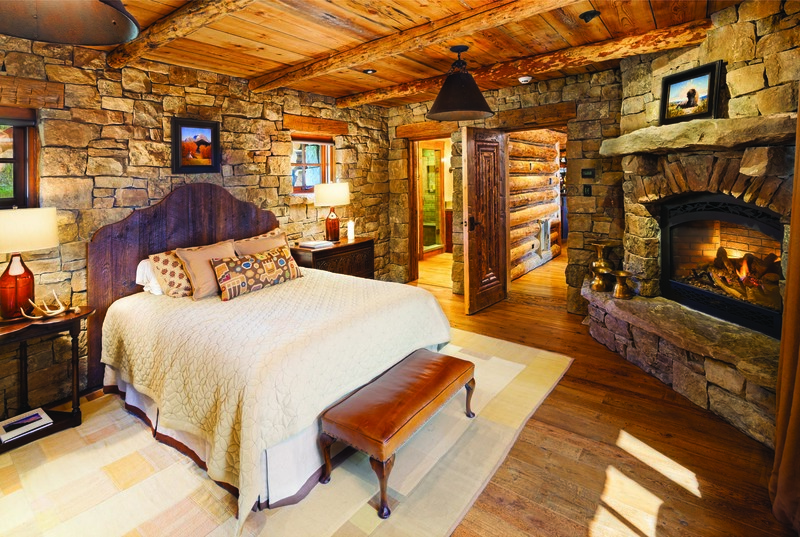 Teton Heritage Builders constructed the home, starting with the guesthouse so the couple could stay there when visiting over the next two years until the home was complete. Now, the guesthouse, or “love shack” as it’s affectionately called, is connected to the main house by a porte cochère. The central organizing element of the home is a nearly 40-foot stone tower constructed entirely from Montana sandstone, harvested from Harlowton. R Davidson Masonry pieced stones of various sizes and widths, some weighing 1,000 pounds, together like an elaborate puzzle for an incredible feat of craftsmanship. “Every piece of stone matters,” Faure noted. The tower serves four purposes. At the top, is a cozy seating area that offers 360-degree views of the surrounding mountains. There’s also a mid-level seating area and the lower level that serves as a bar. The base of the tower doubles as a wine cellar, with projective rocks for shelving and rustic framed reward posters for bandits. The tower flows into the great room and this central living space divides the master and guest wings of the five bedroom, 7,000-square-foot home. “I would say every space is unique, whether in the hearth room, office, great room — every one of them is different and it’s not cookie cutter. There’s a clear design element that Matt carried through the entire project. Every one of these spaces stands alone,” the owner said. Montana sandstone is also used in the great room for the fireplace, which includes a mantel made from a single 5,000-pound stone. In the hearth room, another fireplace stretches through the roof while sandstone stairs waterfall down from the second floor. The second floor will eventually become an entertainment room and offer additional bedrooms for guests. As for the homeowners, their team of experts brought visions of the old West into the 21st Century, even if it was difficult to picture outside of black-and-white films. 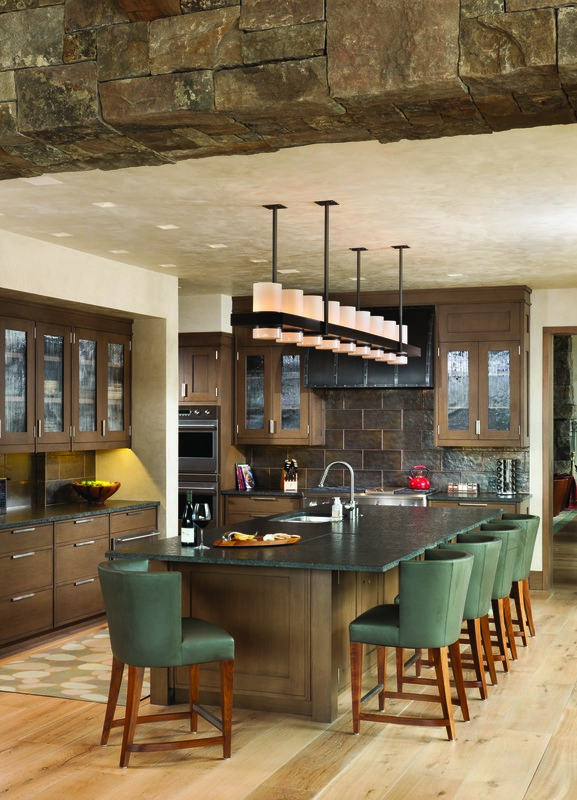 Live-edge wood and granite are used for counter and tabletops to add texture, along with the standing dead timbers that were hand-selected for their character. The base of the timbers tie into the flooring, adding a feeling of growth to the home. A porte cochère extends from the tower’s midsection and connects the home to the guest house. The residence is snuggled in a canyon at an elevation of 8,500 feet and is near a ski resort that receives 300 inches of snow annually. The roof’s design incorporates steel beams for support along with ventilation and insulation to keep the home’s dissipating heat from melting the snow and forming ice dams. The roof’s membrane is also left intact for insulation. It’s the technical aspect of “art-itecture,” Matt Faure said. Montana sandstone steps bend around a large fireplace in the hearth room and connect to the second floor. 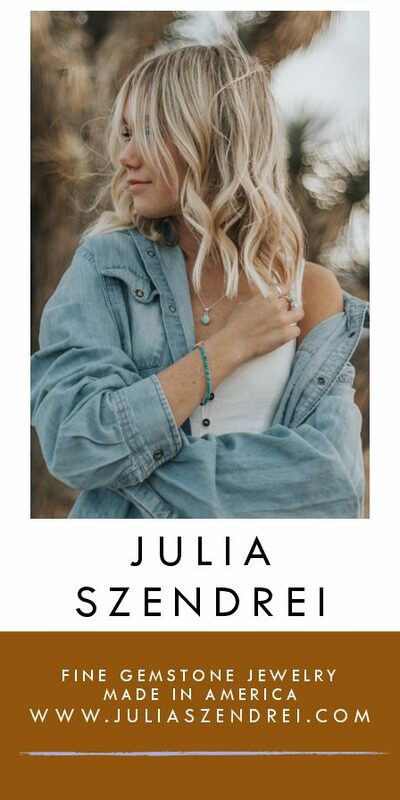 In keeping with the home’s natural theme, the handrail is made from gnarled juniper, worn smooth by natural elements over decades. Views of Lone Mountain are visible from the bath tub. The tower serves four functions, one of which is as a bar, accessible from the living room. 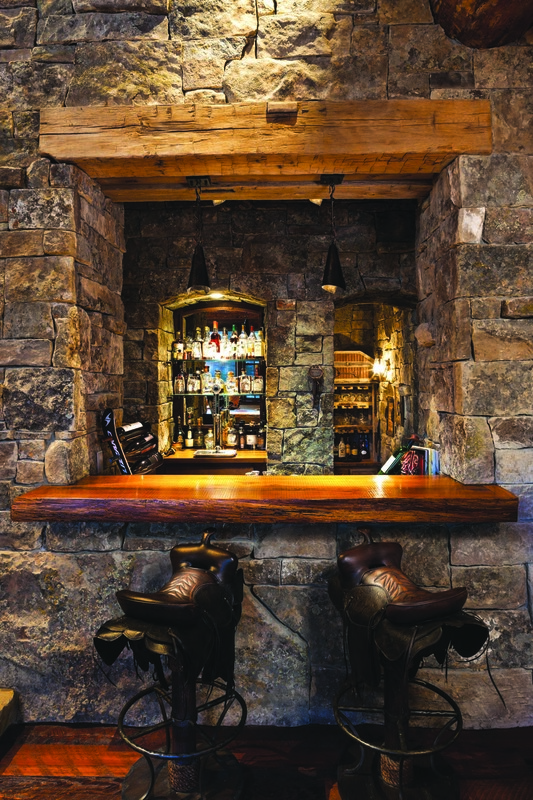 Reclaimed tactile materials and elaborate stonework provide a tie to history to achieve a classic old West feel that is also upscale and comfortable. There are seven indoor and outdoor fireplaces in the home, one of which is in the master bedroom. 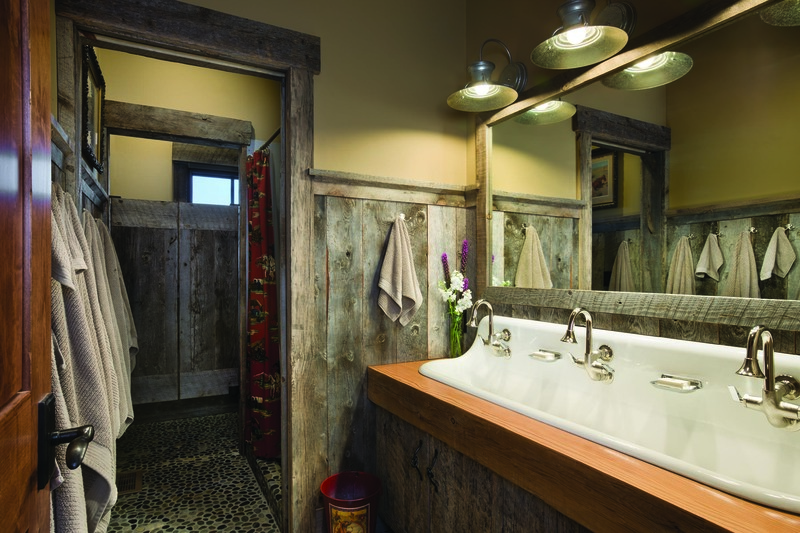 The use of reclaimed and natural materials is fluid throughout the home. A recessed tin roof in the dinning room and kitchen provide a connection to historic architecture, as tin ceilings were commonly found in turn-of-the-century Western buildings. The home’s interiors were chosen by the owners and reflect their personal taste and aspects of Western history. About 90 percent of their furniture comes from Montana Furniture & Mercantile, in northern Minnesota. Secora’s Dead Wood Creations, near Gallatin Gateway, Montana, also created custom furnishings and interior elements. 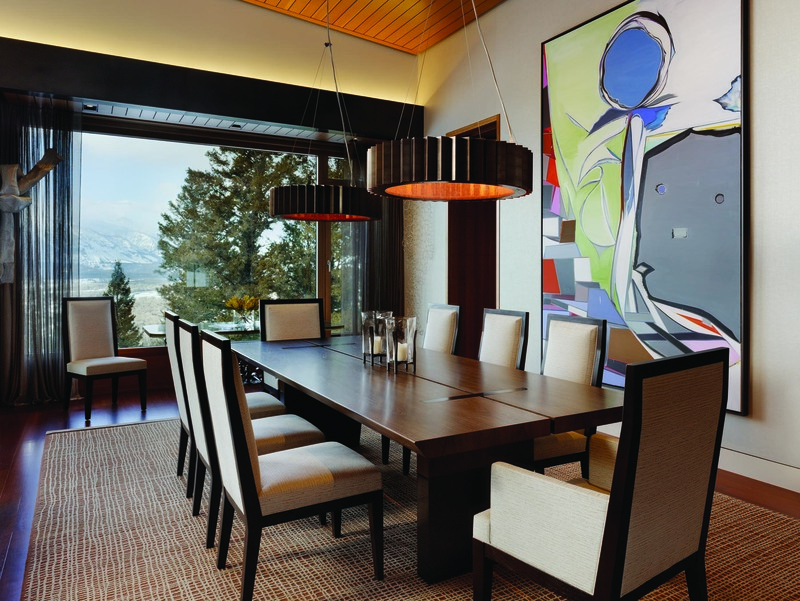 Interior and exterior lighting fixtures were created by Fire Mountain Forge, in Livingston, Montana.